Heart Evangelista, or Love Marie, seems to have known that she was destined to pick up a brush and paint. But as the artist has shared, she’s a rebel—following no one’s art style and painting on just about every surface. And that includes designer gowns and luxury bags. Now, we celebrate Love Marie’s artistic deviance in a curated exhibit featuring all of her artwork. 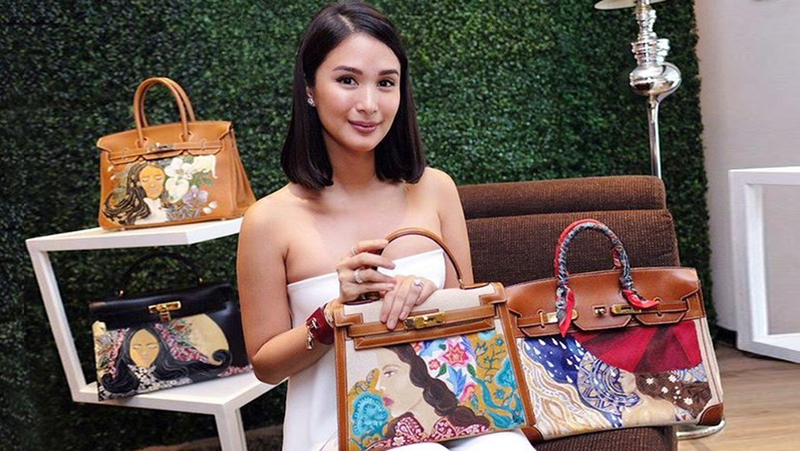 From her canvas paintings and collaboration with designer Mark Bumgarner to over 40 Hermès bags she turned into works of art, her exhibit entitled Carry your HeART is a testament to how she has grown as an artist. Displayed at the Volkswagen Showroom in Bonifacio Global City are five different installations that consist of all her work through the years. 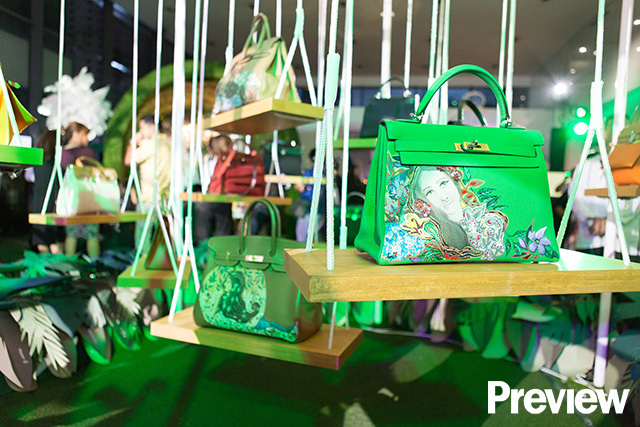 Revolving around flora and fauna, the showroom was transformed into a garden. 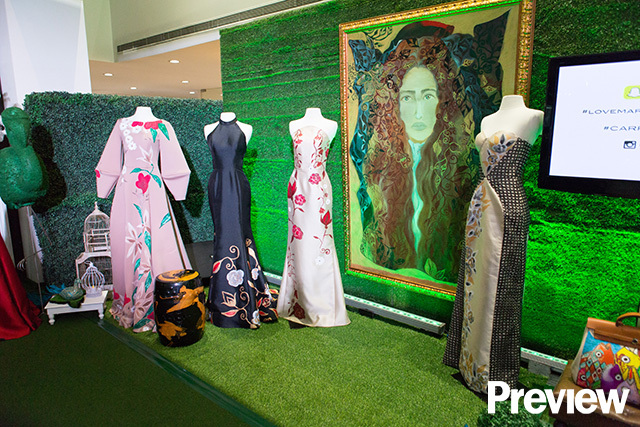 Her hand-painted bags were enclosed in white bird cages surrounded by ferns and flowers while the gowns she painted on for Mark Bumgarner stand tall in between her canvas paintings framed in gold. 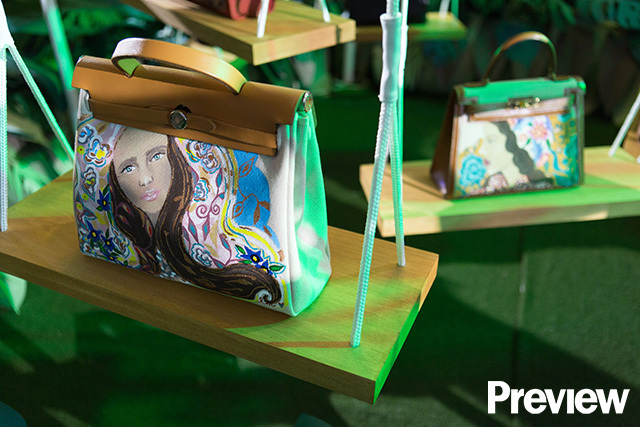 The opening night of her exhibit was attended by her husband Sen. Chiz Escudero, her family, her friends, as well as those who have previously commissioned Heart to paint on their luxury bags. See all the stylish attendees in the gallery below. Heart’s third solo exhibit will run until September 9. Don't miss it!